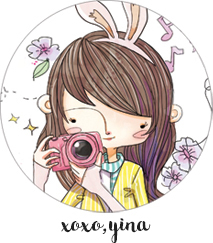 is a new blogshop specializing in bringing in pretty Korean accessories at affordable prices! all items are only available by pre-order for now, but they intend to bring in in-stock items as well soon! cutest ever 3-piece earring set inspired by chanel! super mad cute and the camellia flower is just lovely. dainty little ribbon necklace that’s only $5.90 🙂 comes as a earring set/ring too! bows & pearls bracelet, the gold version is super pretty and classy! hop over to to check out more! their first pre-order closes on Friday so be quick and place your order with them 😀 i’m definitely contemplating over which items i wanna get! !